Chen Lihua is one woman who can narrate her success story with élan. 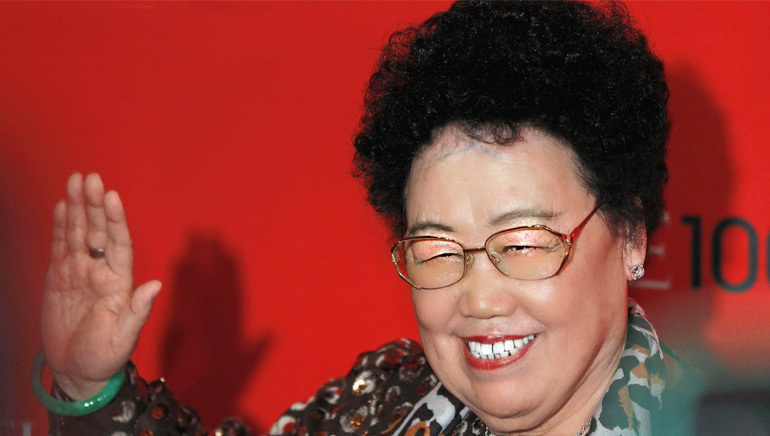 A descendent of Manchu royalty, Lihua was born in 1941 at the Summer Palace. It was a violent year of Japanese invasion and by that time Manchu-dominated Qing Dynasty had already fallen; consequently her family became poor. Poverty forced her to quit high school and start a furniture repair business. She moved to Hong Kong in the early 1980s where the furniture business fetched her enough money to buy 12 villas. It seemed hardships had proven to be her best teacher. In no time, the real estate became her area of expertise. Later, she moved back to Beijing to expand her real estate business, and in the early 1990s she founded Fu Wah International Group. Apart from real estate, the company’s portfolio also includes agriculture, tourism, electronics, hospitality and red sandalwood art production. Having inherited the red sandalwood furniture from her ancestors, her love for the wood grew with time. She is an avid promoter of the red sandalwood and has built the China Red Sandalwood Museum, the first and the largest privately owned museum that has a huge collection of the red sandalwood furniture. Today, the lady is one of the few cherished female billionaires in the world.